You’ve come with a great idea for a gardening business, have a written a business plan and would like to get going – but you need funding in order to do so. One way of gaining capital and financing for your business is to apply for a loan. If you’re stuck without enough money to get going with your gardening business, then the good news is that a loan may be available. As well as banks, there are business organisations and trusts that offer loans to help small businesses get off the ground. The downside, however, is that a loan isn’t guaranteed to be available and it can take a while for a decision to be made, so if it’s something you’re thinking about, it’s best not to do so as soon as you can, as there may be a wait ahead. Most of the major high street banks offer business loans, but they sometimes differ in how much may be available or what their terms and conditions are. If you’ve been a long-term customer with your bank, and have a good credit rating, then you may be in a good position to apply for a loan. But before you to do, it’s a good idea to look around and see what other banks are offering, to see if there’s a better deal elsewhere. Most of the major banks have a team of small business specialists, who’ll be able to offer advice on the financial products and loans available, as well as on other aspects of your business and setting it up. As well as banks, it’s also possible to obtain a small business loan from other sources, particularly organisations that support start-up businesses. For example, specialist business organisations often offer loans for new businesses, with some concentrating solely on businesses based in a certain local area. There are also organisations, like the Prince’s Trust, which cater for young entrepreneurs, and offer funding if you meet, amongst other criteria, are a certain age range. 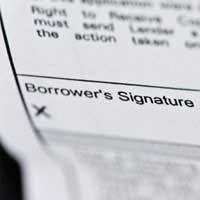 In order to apply for most business loans, you’ll need to carefully submit an application form, which includes several key pieces of information. You’re likely to have to submit a thorough business plan, including why you want to start the business, why you’re a good person to do it and what your experience is, what you projected forecasts are and when you would aim to pay off the loan.